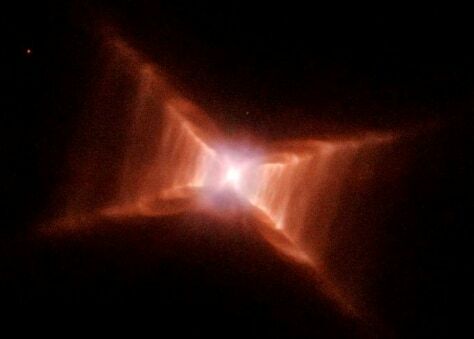 The Red Rectangle shines like a squarish jewel in this Hubble image. The actual structure of the nebula is a double cone. Its rectangular appearance is an optical illusion.